Heat oil in large saute pan, roast garlic and shallots/onion until lightly browned. Add thyme, basil, parsley and white wine and let simmer for 5-10 minutes on medium heat. 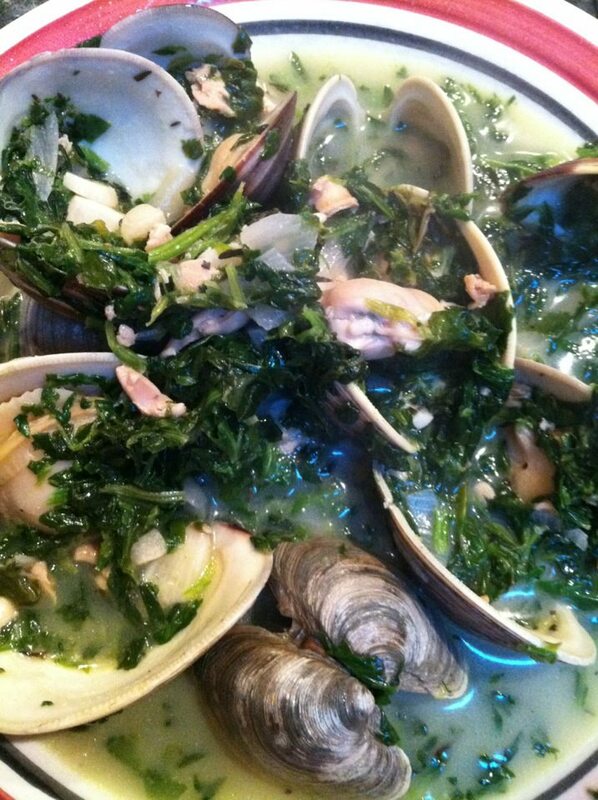 Add 1/4 cup water & clam juice ( eye ball it if there isn’t enough liquid to steam clams add more wine/water.) Add clams, you can 1-2 cans canned clams as well. Cover and let steam for 10 minutes. 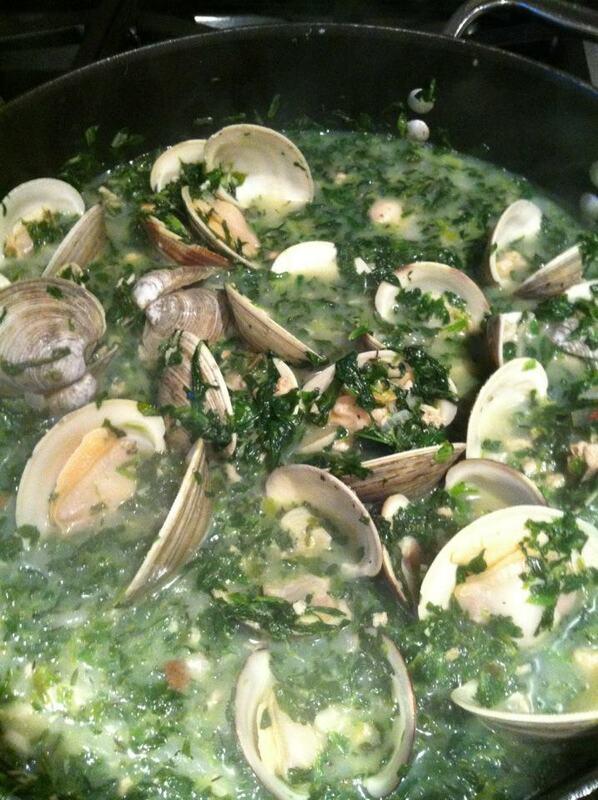 Avoid rubberizing your clams by twirling the pan every so often. Add spinach and let cook down at the 5-8 minute mark. Eat Immediately. This is not a dish you want to have sit and come to room temp. For you NON Paleo’s a slice of multi grain, French or Italian bread compliments this VERY well.